Explore our network to learn more about our reach and expertise, and about how your organization can join, collaborate with us, and thrive. Join member and network-led webinars, events, and conferences that advance public health practice and improve population health. Learn more about our member public health institutes, including what they do and how they advance public health practice and improve population health. Our national network is a go-to resource for analysis, best practices, and network connections for communities, government agencies, foundations, the health care delivery system, media, and academia. We are committed to advancing public health practice and improving population health through technical assistance, education, evaluation, and stakeholder convenings that give everyone a seat at the table. We realize that most of what impacts the public’s health happens outside of doctors’ offices. That’s why we focus on improving the often unseen conditions and systems that define the health and wellbeing of entire populations. 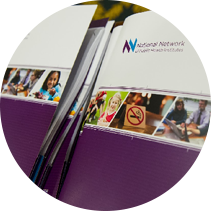 Browse our resource directory for meeting takeaways, templates, case studies, and reference material shared by NNPHI, the network, and our partners.